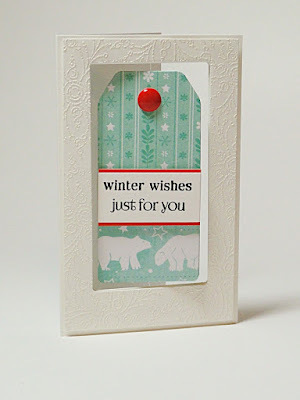 Today we are "tag teaming" on this post with ideas on how to incorporate a tag into a card design. 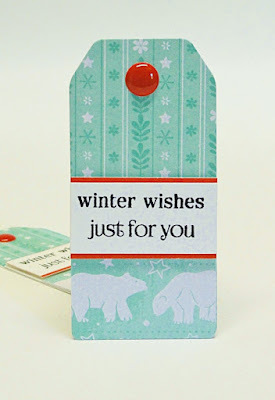 For my tag designs, I decided to go bright with lots of Penny Black Creative Die layers. 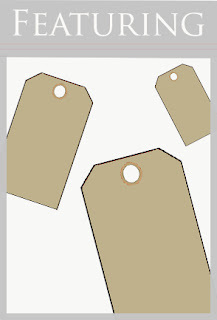 Here's a look at each individual tag. And how did I incorporate my tag design onto my card? Because my tags were pretty busy in design and quite bright, I kept my cardbase neutral and without pattern. 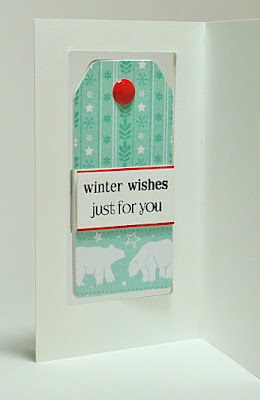 For complete supplies, Penny Black products and instructions, click HERE. For my design, my double-sided tag was created from the "Tagged" die cut set and patterned paper from "Holiday Trimmings". 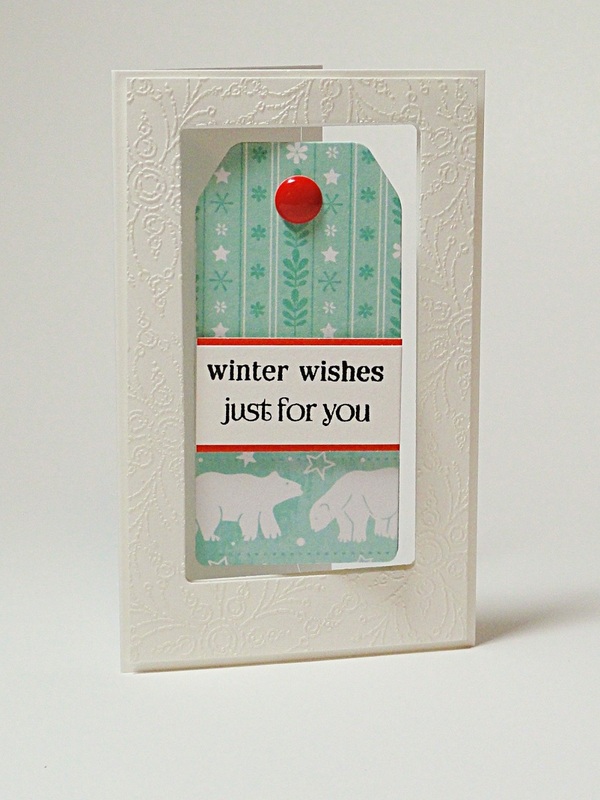 Two different sentiments from "Holiday Snippets" allowed me to customize the greeting. 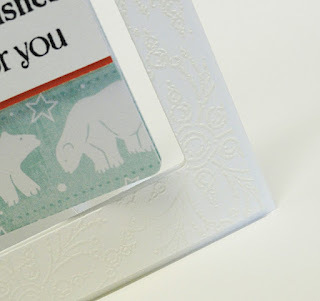 The tag was then suspended with fishing line inside a framed window so the design could be visible from both the outside and inside of the card. Tip/Hint: One of my great discoveries was to find out that Penny Black's "Framed Flowers" creates the perfect window to showcase the tag. No need to measure and use a craft knife to prepare the opening. To add some texture to the frame, "Soft Grace" was heat embossed with white powder.